“Winter Garden” JUST came out a few weeks ago. 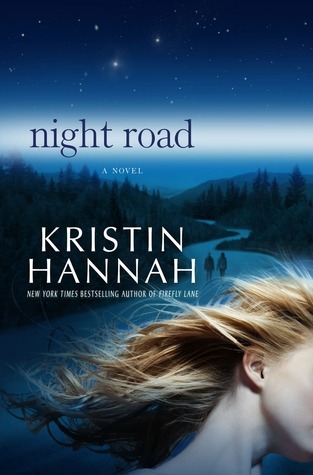 I had to download it right away; I’ve read a few other books by Kristin Hannah and really liked them. I’ll be completely honest. I wasn’t too sure about this book at the beginning… I didn’t really get the point or understand where the book was going. I tend not to read the book jacket (or the summary on the Kindle), especially if I already know the author, so I didn’t really know what the book was supposed to be about. Meredith and Nina are sisters – Meredith helps run her father’s apple orchard; Nina is a renowned photojournalist who travels the world. Meredith and Nina have never had a good relationship with their Russian-born mother named Anya, so they gave all of their love and attention to their father. Their father suddenly passes away and the girls are forced to confront their relationship, if you could even call it that, with their mother. On his dead bed, their father had told them to ask their mother to tell the story about the peasant and the price, which was a fairytale that Anya used to tell the girls when they were very young. Apparently, Anya had never finished the story, but he felt that they needed to hear it now, 40 or so years later. That is the part that was kind of “eh” to me. There may have been a point where I wanted to put the book down and not continue (okay, put my Kindle down and click on to the next book). But I decided to keep going and maybe it would get to the point. Well, it did. Once Nina finally convinces Anya to start telling the fairytale, I was hooked. I don’t want to say anymore because I don’t want to ruin the story for anyone who wants to read the book. This has been one of the best books I’ve read in awhile. It was “different,” but it’s hard for me to pinpoint how exactly it was different from other books. The fairytale part was really what reeled me in and I couldn’t wait for Anya to get to the next part of the story. Kristin Hannah has written a bunch of other books; the other ones that I’ve read are “Firefly Lane” and “On Mystic Lake.” ”Firefly Lane” is also wonderful and I’ll make sure I blog about that one here sometime, too.